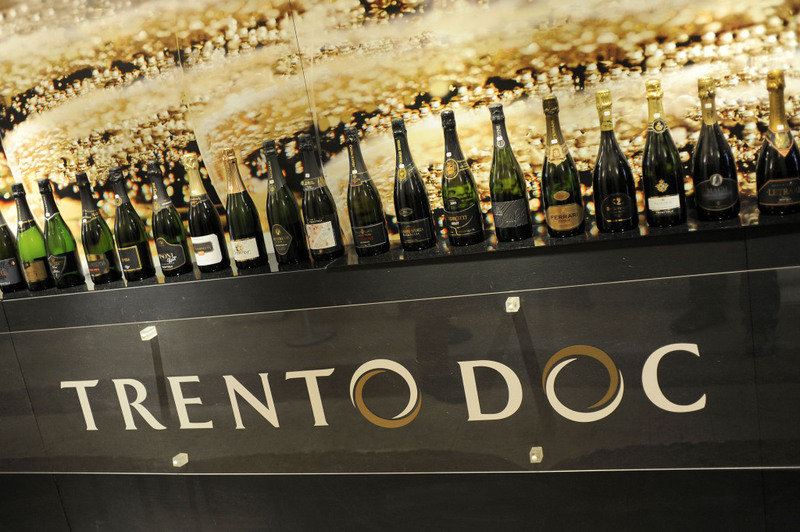 ‘Trentodoc’ is a sparkling wine produced with the classical method only, with very high quality grapes coming from Trentino. It is light, floral, characterized by a pleasant taste. Its texture is surprisingly similar to the typical one of sparkling wines, accompanied by the sweet and delicate flavour of sweet grapes. Its foam is creamy, its perlage is persistent, thick, firm and golden. Thanks to the efforts of 40 houses which produce sparkling wines and 120 labels, this sparkling wine has been able to be appreciated all over the world. Sommeliers describe it as a cheerful wine: vanilla, apricot, exotic fruits, nuts, and freshly baked bread, Golden Delicious apple, white chocolate and jasmine, are just some of the hints that it is possible to discover by tasting it fresh, never frozen, in large goblets, at a temperature between 8 and 12°. 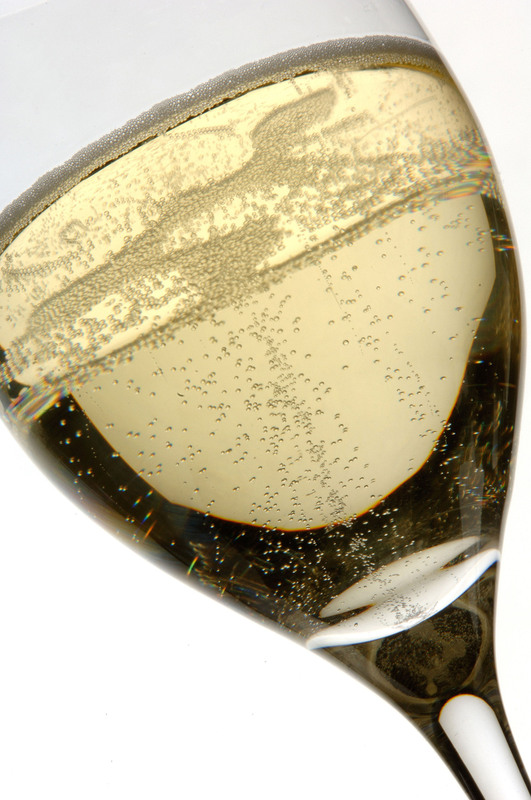 Trentodoc can be white in the Brut, Vintage and Reserve versions, or Rosé, in the Brut and Vintage versions. Production times vary from a minimum of 15 months, as the specifications state, up to 10 years, for a large Reserve. 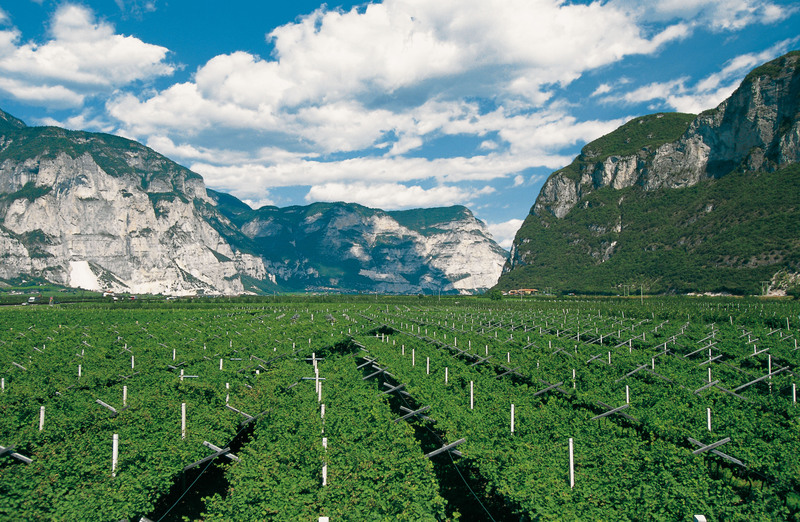 Trentodoc is the direct expression of the land which produces it, Trentino. It is a small territory, but with a big climatic variety, ranging from the Garda Lake to the Dolomites, an extraordinary natural monument registered in June 2009 in the Unesco World Heritage. It is unique for the cultivation of vines at high altitudes. Scientific studies demonstrates the virtuous relationship between mountain and the cultivation of the vine in order to realize the ‘perfect’ vineyard. Today, about 90% of the vineyard area is cultivated with the Controlled Denomination of Origin, one of the highest percentages in Italy. Here the vineyards result to be located down in the valley for 39%, for 41% in the hills, and 20% in the mountains. White grapes represent 68% of this production, black grapes the remaining 32%. The Italian market acquires 90% of the production of the Trentinodoc; the remaining 10% is distributed with great success in other European and non-European Countries. 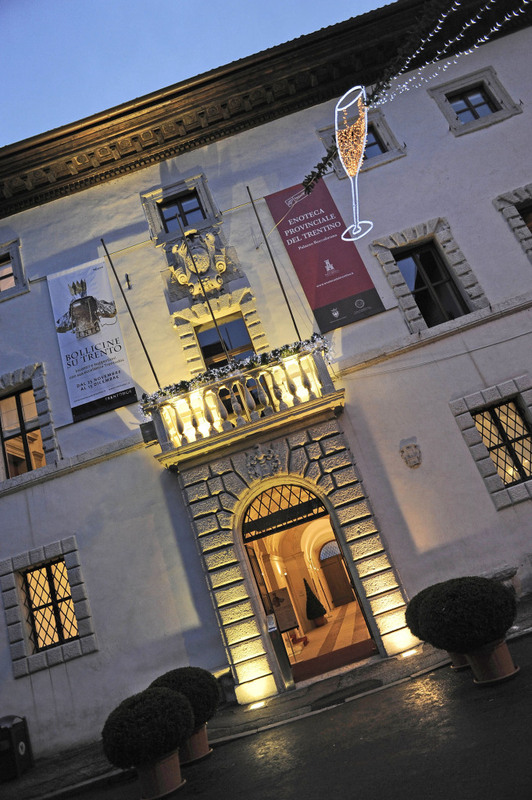 The most significant and valuable editions are preserved in the ‘Enoteca Provinciale di Palazzo Roccabruna’, a nobiliary palace dating back to '500, in the historic centre of Trento, in which it is possible to make a journey among these wines, all rigorously DOC. The ‘DOC Trento Institute’ was born in 1984 in order to protect the quality of the production method for Trentodoc sparkling wines. Thanks to its supervision, quality, origin, method, and spread of sparkling wine of Trentino are guaranteed and protected. 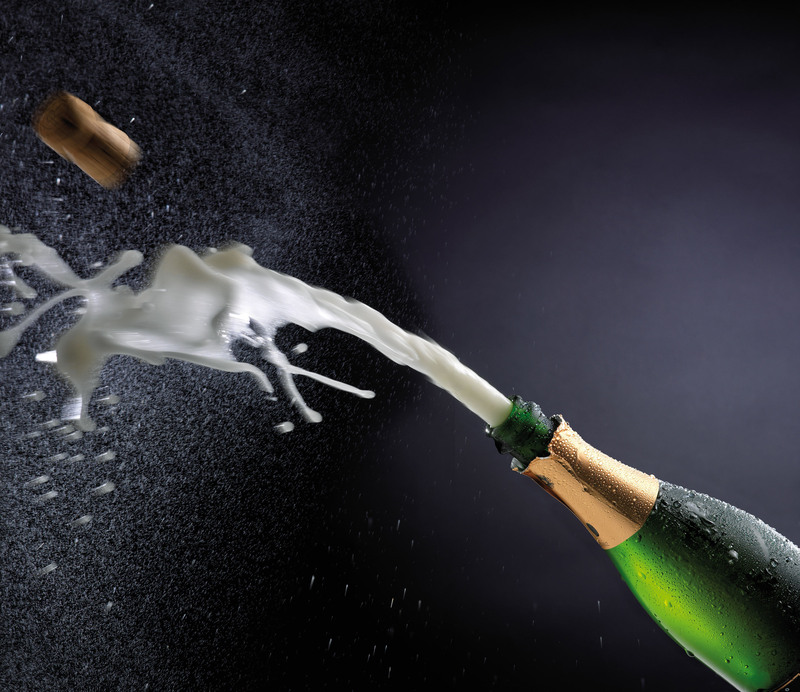 The producers of Trentodoc are 40, all highly qualified and selected. The characteristics of Trentodoc allow it to be a main character for many occasions, from aperitif to the table. It can be perfectly combined with the typical products of Trentino, but also with the important courses of the Italian tradition. The cuisine of Trentino is the one which proposes the best combinations. This cuisine is made of culture of mountain pastures, agriculture, life of the woods, in a predominantly rural area, which has given life to such recipes as polenta and meat with beans, but also such small ‘jewels’ as mountain cheeses, barbecued char of Alps, game, ‘canederli’, ‘smacàfam’, such meat and cold cuts as ‘lucanica’, ‘ciuìga’, or ‘mortandela’. The Reserve version can accompany at their best the strong and defined tastes, with the same strength and versatility as the more structured red wines. The classic method allows Trentodoc to be an excellent wine for any course of a meal, a perfect combination for aperitifs, a real main character in the most important toasts, but also in smaller daily occasions, with the freshness which makes it a young and dynamic product. In its demi-sec version, it is an excellent combination with such desserts as strudel with apples of Trentino or zelten. Trentodoc is excellent with fish, especially for mixed grills and shellfish. According to the most accredited chefs, the combination of oysters with Trentinodoc is the time of utmost gastronomic pleasure. The versatility of this wine is also appreciated with the most important products of the Italian culinary tradition and the typical regional recipes, characterized by strong and defined flavours as well as for cannelloni and lasagna. The brand name, reported on all the bottles, results from the name of the city which gives origin to to the wine, Trento, with the suffix DOC, the guarantee of origin indicating the name of the wine. In the design of the two ‘o’ of the Trentodoc brand, one of the most characteristic stages of the traditional method, remuage, is highlighted. The remuage is the manual operation of the bottle rotation carried out by the Trentodoc manufacturers on the typical wooden trestles when the wine is at rest.